This software is used for correlation / estimation of soil properties. Several correlations have been developed by geoscientists in order to estimate one soil parameter based on a series of other known soil parameters. For example, if you need to estimate consolidation compression index (Cc), instead of searching through several reference books, just run NovoFORMULA and find the recommended Cc values based on several equations available in its database (more than 140 equations). The only geotechnical software for correlation between soil parameters! 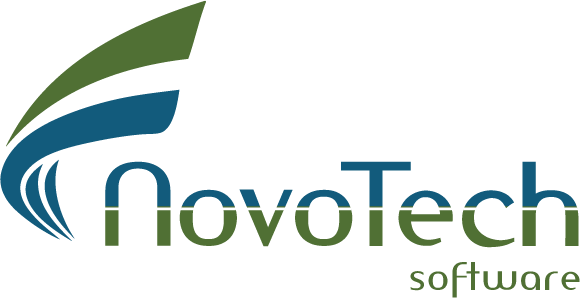 NovoFORMULA lists all the correlations you need, with their actual equations as well as any relevant limitations / comments associated with the correlation. NovoFORMULA report builder summarizes all available correlations for a desired soil parameter in a PDF file. Using this geotechnical software saves your time, and increases the accuracy of your analysis. Order Now and Activate Your NovoFormula in 15 Minutes! At Rest Earth Pressure Coeff. Statistical Distribution of Available Correlations For a Specific Soil Parameter. NovoFORMULA presents the distribution of correlations in a chart. This allows you to review all the values that are estimated based on various correlations, and choose a reasonable range for that parameter. In this example, the range of consolidation compression Cc estimated based on various methods. The range varies from -0.2 (!) to +0.9 with a concentration around 0.1 to 0.3; An estimated value of Cc~0.2 may be selected for this example. Start with entering the value of the soil parameters that are available. For example, if you have had lab. tests carried out and you know the results of LL, PL or moisture content, start entering these values in the table. As you enter each soil parameter, more and more correlations are added to the list. The database of NovoFORMULA includes more than 140 correlations between various soil properties.